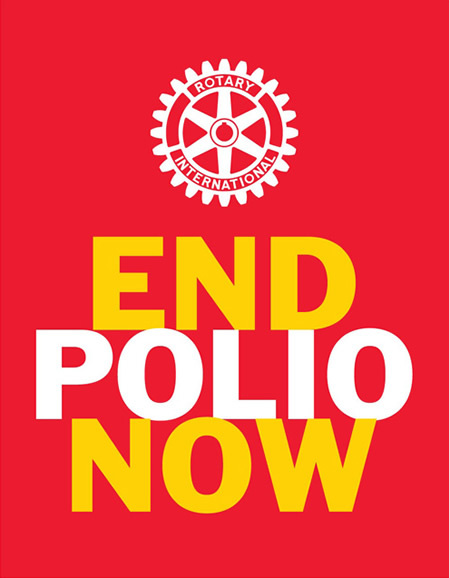 We believe that the world is on the brink of seeing "the very last case of polio"
Rotary International has been focusing on eradicating the disease for over 30 years. 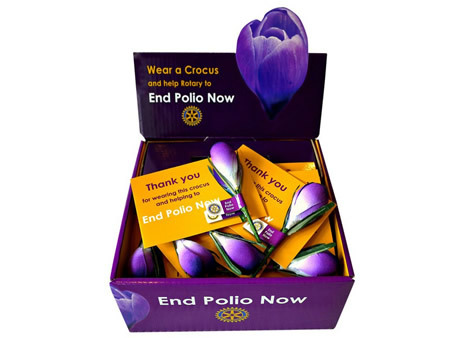 As widely reported in the UK media, Eve Conway, 2016 to 2017 Rotary President in Great Britain and Ireland went on record to say that we are on the verge of making polio a disease of the past. If we are successful, it will be only the second disease affecting humans to be eradicated. The first was smallpox. President Eve said: “The world stands on the brink of an historic milestone. “Eradicating the last few cases is a big challenge as they are in countries where transporting and delivering the vaccine is often disrupted by civil war, conflict and local hostility. “But, despite this, the number of cases is falling dramatically due to the fantastic work from Rotarians in Great Britain, Ireland and around the world. Thirty or so years ago, there were 1,000 cases of polio a day in 125 countries. 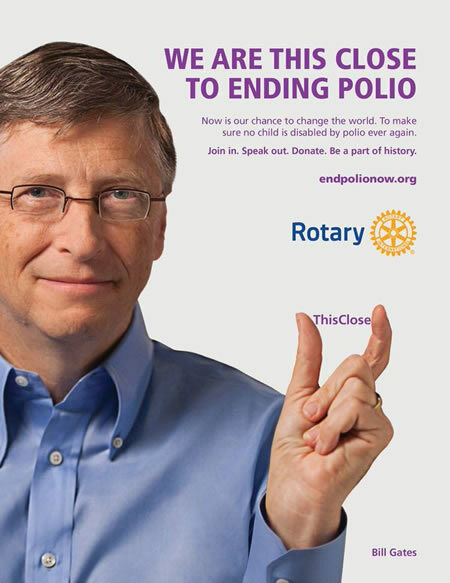 In 1985, Rotary International launched a public health campaign which led to the Global Polio Eradication Initiative joining forces with UNICEF, the World Health Organisation, the Centres for Disease Control and Prevention in the US and more recently the Bill and Melinda Gates Foundation. Since then the organisation has raised $1.6 billion with the help of 1.2 million volunteers globally, including around 47,000 in the UK. The campaign is now on the verge of completion with hopes that we will soon see the last ever case of the disease. Polio is a serious viral infection causing temporary or permanent paralysis, which can be life-threatening. Among those to have suffered are television chef Mary Berry, golfer Jack Nicklaus and singer songwriter Joni Mitchell. But there have been no new cases in the UK since 1984 following a programme of routine vaccination. In 2016 there were 37 cases in just three countries, Pakistan, Afghanistan and Nigeria. World Polio Day is marked on the 24th October in honour of the birthday of Dr Jonas Salk, who led the team that developed the first polio vaccine. 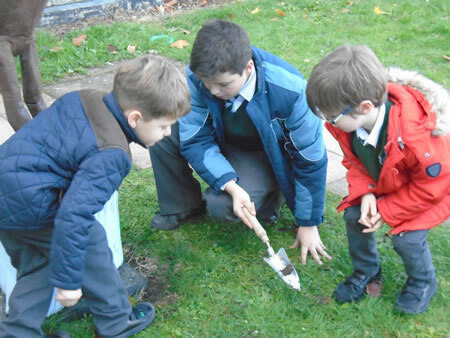 To mark this day children across the country were invited to plant crocus bulbs as part of an initiative designed to educate them about the devastating disease of polio and how Rotary is working to eradicate it from the world. 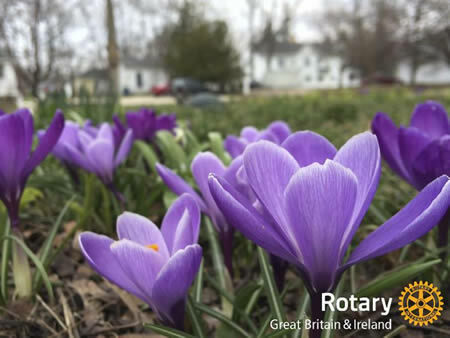 The purple crocus is the symbol of Rotary’s worldwide campaign to eradicate polio and was chosen as the purple colour matched the dye painted on the fingers of children who have been immunised. 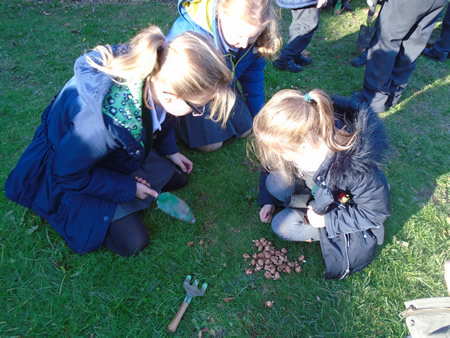 Pictured here are children from Cranbourne Primary School in Hoddesdon planting crocuses supplied by Amwell Rotary Club and images from the Rotary Crocus campaign.